Queens Borough President Melinda Katz is pleased to present the 42nd Annual Educational Incentive Awards (EIA) for graduating students who have demonstrated outstanding and noteworthy improvements in academic and behavioral achievements. Deadline for nominations is Friday, May 25, 2018 at 5:00pm ET. 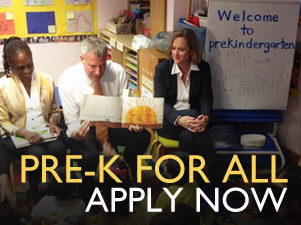 Every child deserves a Pre-K seat, and this year's expansion has ensured universal access for every four-year-old in New York City. Because of free Pre-K for All programs, the average family saves more than $10,000 each year in childcare costs. Early childhood education is invaluable in shaping our children's future, and we urge every family to take advantage of this opportunity. 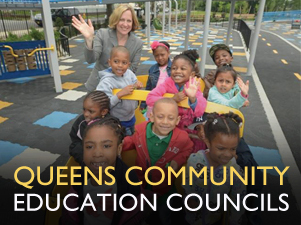 Queens Borough President Melinda Katz is accepting applications from qualified community- and education-minded individuals interested in serving as a 2017-2019 Borough President Appointee to Queens’ Community Education Councils (CECs). CECs allow for parent involvement at the Community School District level and play an essential role in shaping education policies for New York City public schools. They are education policy advisory bodies that have a number of important responsibilities, including reviewing and evaluating a district’s educational programs, approving zoning lines and holding public hearings. CECs help guarantee that parents have input into how our City’s public schools are run. Each CEC consists of 12 members (9 elected members, 2 appointed by the Borough President and 1 non-voting high school student appointed by the superintendent) who serve as volunteers and provide hands-on leadership and support for their district’s public schools. 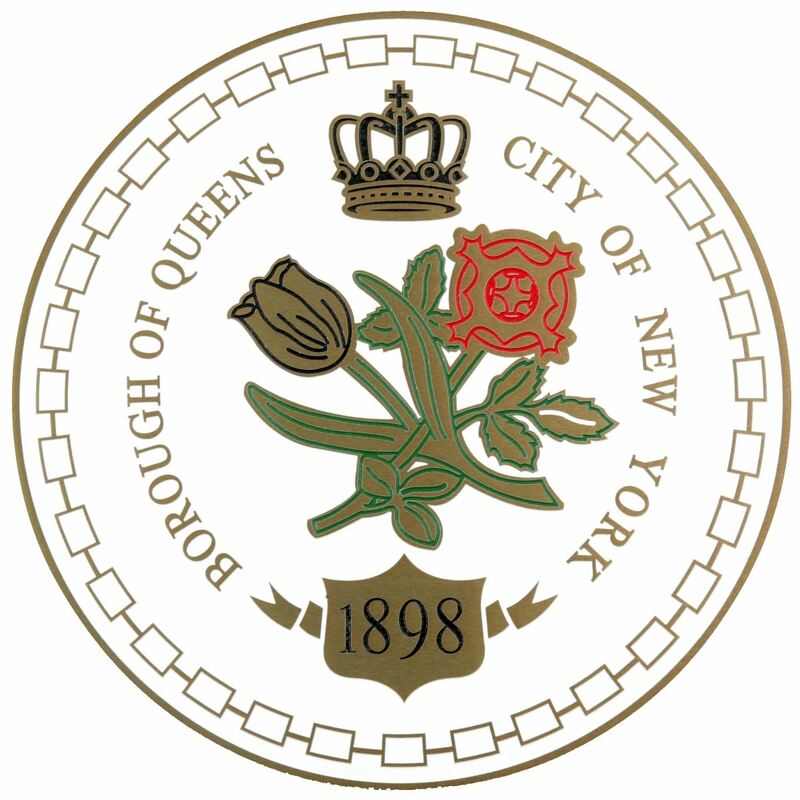 Queens has seven CECs (one for each school district in the borough) and Borough President Katz will appoint two members to each of those seven councils. Borough President Katz’s appointees will serve for a two-year term from July 1, 2017 – June 30, 2019. A Borough President’s appointee must either live in or own or operate a business in the Community School District served by the CEC that he or she is appointed to. The appointee must also have extensive business, trade or education experience and knowledge. Anyone interested in applying to be a 2017-2019 Borough President Appointee must submit an application with Borough President Katz’s office by May 22, 2017. Applications are available below to download and will be accepted either via e-mail at info@queensbp.org, in-person or by regular mail. Download 2017-2019 Borough President Appointee Application here.